"Matthew and his entire staff were professional courteous and so extremely helpful in securing our mortgage under less than ideal conditions. They secured an excellent interest rate, lower than any other offers! Matthew followed up with both the listing agent and the selling agent to ensure that the escrow was on track for the closing. We would recommend Matthew to anyone looking for a new home or interested in refinancing their existing home. A first class operation and worthy of every star!" "Wow! Matthew and Shelby were professional, courteous and so amazingly helpful. This wasn't my first rodeo but, it was the easiest and quickest! Thanks for an amazing experience.. I have recommended you to my friends and will continue to do so. I will return to do business again.."
"If you are in the market to find the best terms on your next mortgage, Then look no further because your due diligence has paid-off. Matt & Shelby and their "MortgageCouch Team" are ready to provide you with the utmost professional service." "Looking for a Great Mortgage Company? I'm a local Ventura Real Estate Agent, Mike Love, with Keller Williams and I would recommend Mortgage Couch to anyone looking for a home loan in the area! Matthew Couch the owner is all about customer service and great products! Very reliable and easy to get a hold of. Give Matt a call, and see what he and his company can do for you!." "I felt secure and confident with the "pre-sales" approach by Matt, owner of MC. I was guided by many clever options and explored all products out there. More important he explained each and every one and why it would be good or bad for my specific needs in obtaining a mortgage. This "customer service" was excellent and I would give my family/friends his number immediately." "Shelby and Matt run a great service. They understand how anxious it can make a person to go through the refinancing process, and help the process go easily and smoothly. Especially the online process is helpful. Highly recommended." "Wow! If you want a quick no hassle lending process when you buy, contact Matthew and Shelby. They are amazing!" "Getting a new mortgage to buy a home is as comfortable as sitting on your Couch. Matthew if very active in the community and is the first person to offer his services to Realtors and the families we serve. Matthew explains what loan programs are right for each client. Ask him about how much he enjoys working with US Military! He's USA approved." "We are first-time home buyers, and we had a lot of questions along the way. Mathew was really patient, and always had a great attitude and a thorough explanation for each answer. The best thing about the experience is how Matthew was able to answer questions about our credit score, and advise us on how to fix a few "dings". We were able to take care of it, and it made a huge difference in our ability to purchase a home. We appreciate how Matthew goes above and beyond for his customers!" "I cannot say enough good things about Mortgage Couch. Shelby Bishop worked her magic to get our house refinanced. Because of her expertise, she is able to get the best financing for one' s needs. July 1st was the date we closed on our second loan with Shelby. If the need ever arises again for a loan, we will most certainly call on Shelby at Mortgage Couch. Our thanks to Shelby and Matt. Your good work helped change our lives for the better. Thank you, Thank you"
"MortgageCouch is great! Matthew and Shelby are both very knowledgeable, and they have a strong commitment to their clients. I would recommend family, friends, and any other person I know to the MortgageCouch." "Matt and the team are absolutely on point in knowing the business. If he doesn't he will find out and let you know in detail of the rules and regulations. He'll work with you to get you into your dream house. I know I'll be going back to Team MC again and again in the future. Thanks again for all of your help!" 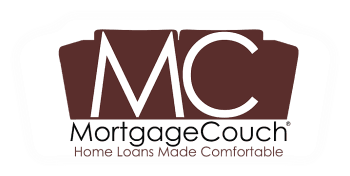 "Highly recommend mortgage couch for any type of mortgage dealings. Matt worked with us to get us the best rates possible and always kept us up to date when/if things changed. He took the time to sit down with us and explain line by line everything we were looking at. His team is highly informative and very professional!!" "Matthew and Shelby were the epitome of outstanding customer service. Matt was helpful and knowledgeable from the start to finish of our home buying process. He was very considerate of our busy schedule and was able to accommodate our varied styles of communication (text, phone, in person) - little things that mean a lot! We bought a property that was FSBO and so Matt had to pretty much hold our hands through the process in the absence of a realtor. I would recommend Mortgage Couch to our friends & family, and I would not hesitate to call him again in the future should we need his services. Keep rocking Matt and Shelby!" "After dealing with a nightmare “situation” with an existing company for the past few months, and being “promised” that “things were getting handled”, it ended up NOT being the truth. Wow did that cost me! Thankfully, I connected with Matthew Couch. Not only did he and his team do a STELLAR JOB, but Matthew was in fact hands on throughout the entire process. He (and his team) also caught a tax error miscalculation. This literally saved me a lot of future heartaches and not to mention my pocket book! If you want Great Customer Service that is Courteous, Precise and Delivers Top Notch Professionalism, then Mortgage Couch is your place! Whether it’s a refinance or a new mortgage loan, Matthew Couch and his team will be there for you every step of the way. "I am in the business and met Matthew and Shelby from Mortgage Couch who encouraged me this would be an easy transaction. I did not believe them and I did not want to go through all the hassles that are involved these days with a refinance or purchase transaction. I have done refinances in the past, but I truly have to say this was one of the easiest transactions I have ever done. There whole staff was courteous, very helpful and did not make me feel like I was an inconvenience. No question was a stupid question, they were very patient and were on the ball. I would highly recommend them for your next transaction." "I have owned more than one house and refinanced many,many, times in the past. Mortgage Couch was hands down the best company, I have ever dealt with over all my years. They keep you involved and informed as to what is happening, at all times, what they need and what will happen when! I never felt that I didn't know exactly where we were in the process. I will be using them again to refinance (depending on rates). I have told my friends if you need a mortgage or refinance use Mortgage Couch! As they are honest, dependable and tell you like it is, explaining everything clearly and they hold your hand thru the entire process if you need. They are My go to Mortgage Company." The best mortgage person and team I have ever used! "Matthew Couch could not have been better! He and his team broke the process down very simple for us and backed it up with the actions. I had many questions, and he made every effort to answer them patiently and precisley! He offered me tools for me to use and understand the costs of obtaining a mortagage and the costs that no one tells you about and broke down every expense in the closing cost to where I was sure of what things would be at the end of the process and he was correct! He and his team fought for things on my behalf that I did not expect, and went beyond my expectations. He and his team made themselves available at all hours of the day to what ever my needs were and coordinated with other entities to make the process convienent for me. I cant say enough! They are true professionals and were consistent throughout the entire process! Thank you Mortgage Couch!! I would recommend and go back to them again without hesitation." They bent over backwards for me and my family!! Consumate professionals! !